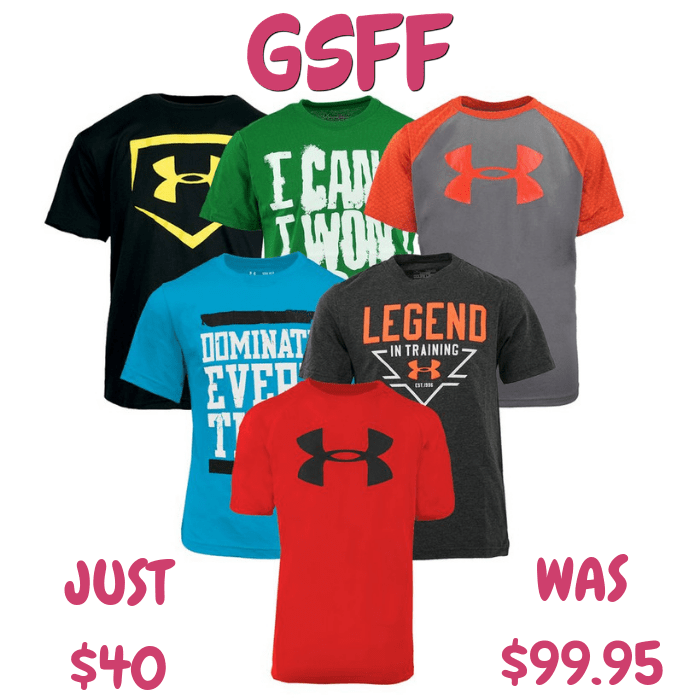 Boys' T-Shirt 5-Pack Just $40! Down From $100! Shipped! You are here: Home / Great Deals / Boys’ T-Shirt 5-Pack Just $40! Down From $100! Shipped! Boys’ T-Shirt 5-Pack Just $40! Down From $100! Shipped! Until December 31 only! Head over to Proozy where you can score this Under Armour Boys’ T-Shirt 5-Pack for just $40 down from $99.95 when you use promo code PZY40 at checkout PLUS FREE shipping! The highest quality shirts Under Armour has to offer! Get 5 assorted tees for the little guy or gift them to a family member or friend! Shirts may include assorted graphic logo style tees in various colors.